Emma Tevaarwerk DeCosta is a Lecturer and McCormick Advisor working mainly with first-year students. She is a core faculty member teaching Design Thinking and Communication, and also teaches courses in the Materials Science & Engineering Department. 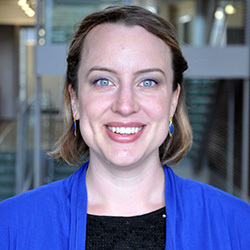 Her areas of research interest include the use of analytics to guide changes in advising practices and policies, as well as use of personal response systems across different academic settings.